Available from Composite Global Solutions, Thermomass concrete sandwich walls are helping to keep the Thermomass head office in Melbourne cool during the hot summer months. The Victorian Auditor General's Office reports that 96 per cent of building permits issued did not comply with minimum statutory safety and building standards. A 'Renovation Intentions' study into Australians' plans to renovate has found just over half (51 per cent) of Australian homeowners are planning to renovate within the next four years. The 2012 Viridian Architectural Glass Specifier’s Guide is now available for download. 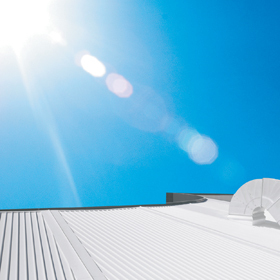 New research by the University of Melbourne assesses the benefits of white roofs in order to help residential, commercial and industrial building owners determine if white roofs are suitable for their buildings and guide them through the best materials to use. 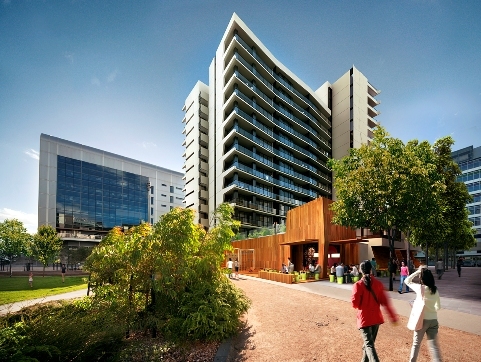 Lend Lease and Sekisui House’s residential development Serrata in Melbourne's Victoria Harbour has become the third awarded Australia’s Green Star residential v1 rating from the Green Building Council of Australia. Designed by Antonio de Marco and available from Landmark Products, the Táctil bike rack creates a clear design statement with its aesthetic appeal. Available from Honeywell Safety Products, the Sync stereo earmuffs by Stanley represent the latest in passive hearing protection technology for active lifestyles. COLORBOND and ZINCALUME steel from BlueScope Steel have been used extensively in the new industrial design workshop built at the University of Newcastle.